Ice cream is not the obvious choice of weapon for political resistance. Nor are spices. But they are being deployed in the US against President Donald Trump. Ben & Jerry’s ice cream, known for its laid back vibe, progressive values and goofy celebrity flavours — like Cherry Garcia named for Grateful Dead front man Jerry Garcia — this week launched “PeCAN Resist!” to support anti-Trump groups. “Ben & Jerry’s feels that it cannot be silent in the face of President Trump’s policies that attack and attempt to roll back decades of progress on racial and gender equity, climate change, LGBTQ rights, and refugee and immigrant rights,” the ice cream maker said in a statement. The company debuted the new flavour — chocolate ice cream with white and dark fudge chunks, pecans, walnuts & fudge-covered almonds — with an ice cream truck in Washington this week. The flavour “celebrating the activists who are continuing to resist oppression, harmful environmental practices and injustice,” comes with US$25,000 in donations to four activist groups. PeCAN Resist! will be available for a limited time at Ben & Jerry’s stores and online, a spokeswoman said. 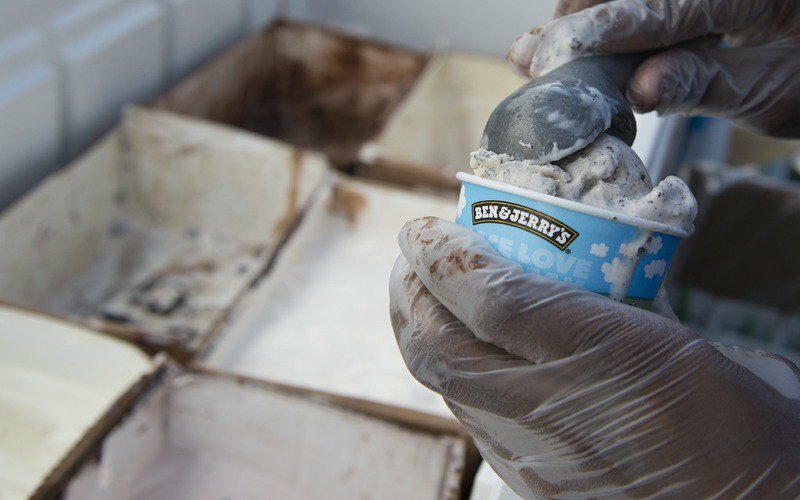 Company founders Ben Cohen and Jerry Greenfield — who sold the firm to Unilever in 2000 — took the idea a step further, creating seven flavours for progressive candidates running for office against Republicans in midterm elections on Tuesday. The flavours include Lauren’s Calling or Underwood for the Greater Good, an apple pie, caramel and pecan flavour topped with a Girl Scout cookie for Lauren Underwood a Democrat running for Congress outside Chicago. Another is Ammar-etto American Dream, made with coffee — “’cause this guy is gonna jolt the system” — biscotti and amaretto, for California candidate Ammar Campa-Najjar. And JD Scholten’s Grand Slam Homer has caramel corn “to symbolise his commitment to Iowa’s farmers and the rural community,” Cohen said. Customers can buy an “I Will Vote Kind” sampler box for US$6 which includes Southwest Seasoning mix, a Kind Heart pin and I Will Vote stickers. The company has received plenty of backlash on social media, but has not backed down from its stance. It has released special offers linked to various events, including revelations about Russian interference in US elections — allegedly to help Trump.